My spiritual name is “Maya” and I’ve been carrying it for a couple decades now. 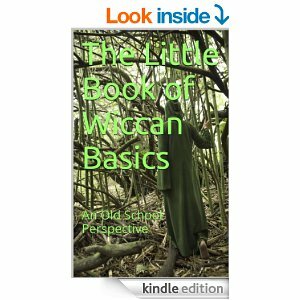 In the tradition of the spiritual path I’ve been walking for almost 40 years, Wicca, one chooses a spiritual name that represents something you aspire to and feel you have lessons to work on in this incarnation. “Maya” can mean many things to many different people, but to me it means “illusion”. Even a quarter of a century ago, I knew there were many illusions to life in this reality. To live fully to one’s potential, I believe you have to awaken to those illusions in order to be the spiritual being you came here to be and do the work you planned on doing. One of those illusions is that we are these bodies that we have entered in order to be in this reality. Another is that we are powerless to change the circumstances of the “ills” that may befall that same body. We, the essence inside the body, are eternal and we are that stuff of which the stars are made. We are a spark of the Creative Force (by whatever name you chose to call that Omnipotent Being) and are therefore more powerful than we have been led to believe. Yes, it’s an illusion that we are limited in the creation of our reality and the wellness of our physical being. The “Dawning of the Age of Aquarius”, which many see as finally having happened on December 21, 2012, has seen the awakening in consciousness of many inhabitants of planet Earth. That awakening includes the realization that many things we have been led to believe are only true if you rigidly stick to a belief in them. What you believe does become your reality, even though it may only be true for you. That awakening is causing many to see we are limitless, powerful beings who do have a say in the creation of our reality and our well-being. 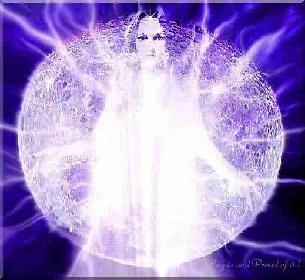 I’ve been writing for quite a while now about energy medicine and the techniques that can help to begin healing us of all the imbalances we have incurred on our journey of illusions. It matters not which “religious” path you have chosen to follow, the truth is that our spiritual journey of discovery and recovery is a very personal one with no two journeys being identical – similar, maybe, but not identical. It’s more about changing the energies that we have allowed to dominate our existence and even prevent our spiritual evolution and personal achievements than anything else. When you hold a belief, and that belief is repeated over and over again, that belief becomes part of your being. It first takes up residence in your aura, but, with time and repetition, comes close and closer to the body until it manifest in the physical body in which you reside. If that belief is one that creates an emotion such as fear, worry, anger, etc. – low vibration emotions – then there’s every chance it will eventually manifest as an illness. Change the belief, create a different, higher vibration emotion to take its place and you change what’s happening in the physical. This is why energy medicine and the awakening to our spirituality are compatible in the healing of both our physical being and our spiritual evolution. It recognizes that we do have the ability to heal ourselves. It removes the illusion that we are powerless to create harmony within us. It re-empowers us. Am I suggesting that you should stop seeing your AMA doctor? No. What I am suggesting is that you can create healing within yourself with methods that are not physically invasive and cost next to nothing or nothing at all. I’m saying we have a choice and a chance to move away from techniques that are sometimes as bad as the disease they are treating as we create well-being within ourselves. How would you feel if, through the use of energy medicine techniques, you suddenly had your vision improve (it’s happened for me and freaked out my optometrist!) or were able to reduce or eliminate medications you’re taking? 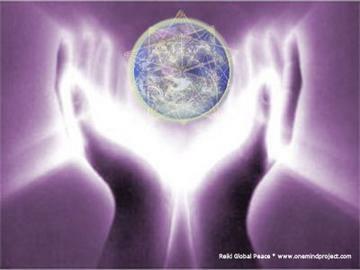 We are turning a corner in the area of healing and, I believe, energy medicine holds the key. Change is inevitable or stagnation sets in. We are facing some very important changes now that this new Aquarian energy has become stronger. Part of that change is recognizing new ways of doing things that work for us. Allopathic medicine has served us well for a long time. To heal ourselves and raise our personal vibrations (and thereby the vibration of the whole planet), we need something that addresses the part of us that is spiritual and recognizes the energy that makes up all that we are. Energy medicine and energy psychology are two of those tools. We live in a world filled with illusion. Some have been passed down to us, some we have created ourselves. Just as each of us has chosen certain ones to believe in, we can choose to change those beliefs. Yes, it sometimes takes courage, but it is always worth it. The tools to dispel those illusions are appearing and we just have to learn to use them. Me? Well, I still have some of my illusions to dispel, but with the aid of energy medicine and energy psychology there may soon come a day when I find that I should change my spiritual name. “Maya” will have been fully uncovered and I will be ready for a new challenge to which I can aspire! This entry was posted in Metaphysics and tagged Age of Aquarius, Energy Medicine, Higher Self, Law of Attraction, Magick, Maya, Metaphysics, Paganism, Self-Empowerment, Self-Healing, Self-Help, Spirituality, Transformation, Vibrational Healing, Wholistic Healing, Wicca. Bookmark the permalink.